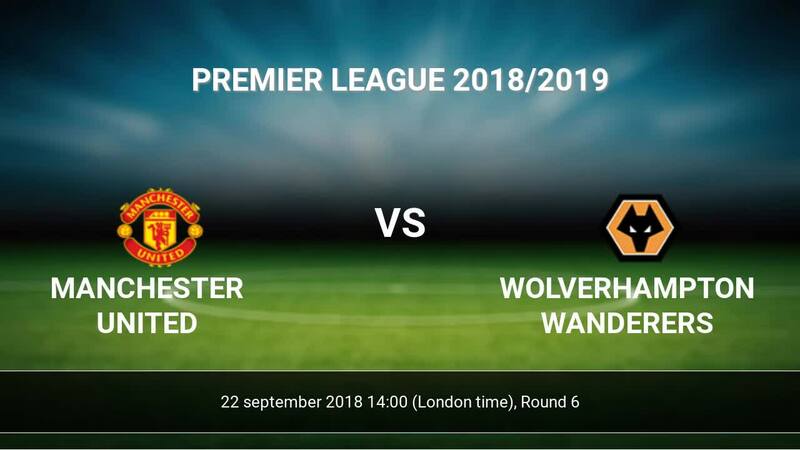 Match Manchester United-Wolverhampton Wanderers Premier League the fixture is set to kick-off today 14:00 on Old Trafford. Refereee Kevin Friend. Team Manchester United is located in the middle of the table. (8 place). Last 5 games (league + cup) finished balance 9 points. Manchester United has not been defeated from 2 matches. The best players Manchester United in Premier League, who scored the most goals for the club: Romelu Lukaku 4 goals, Paul Pogba 2 goals, Chris Smalling 1 goals. Injured players Manchester United: Marcos Rojo, Ander Herrera. The match will not occur Marcus Rashford, Nemanja Matic because they are suspended (cards, etc.). Team Wolverhampton Wanderers is located in the middle of the table. (9 place). Form team looks like this: In the last 5 matches (league + cup) gain 8 points. Not lost the match from 3 games. In this season games Premier League the most goals scored players: Raul Jimenez 2 goals, Ruben Neves 1 goals, Adama Traore 1 goals. They will have to be well guarded by defense Manchester United. Most assists in the club have: , Ruben Neves 1 assists. 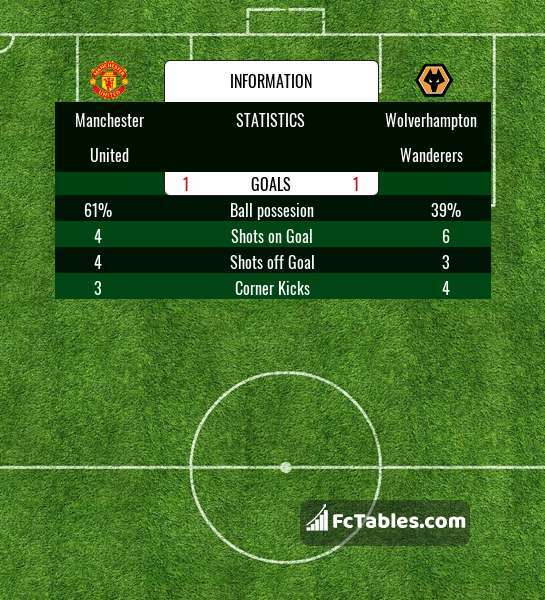 Direct matches: Manchester United won more direct matches. 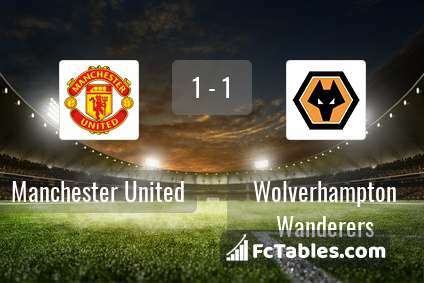 Manchester United won 9 matches , Wolverhampton Wanderers won 2 direct matches, was a 0 draws. In 7 matches the sum of the goals both teams was greater than 2.5 (Over 2.5), and 7 matches teams scored more than 1.5 goals (Over 1.5). In 4 matches the both teams scored a least one goal (Both teams to score).